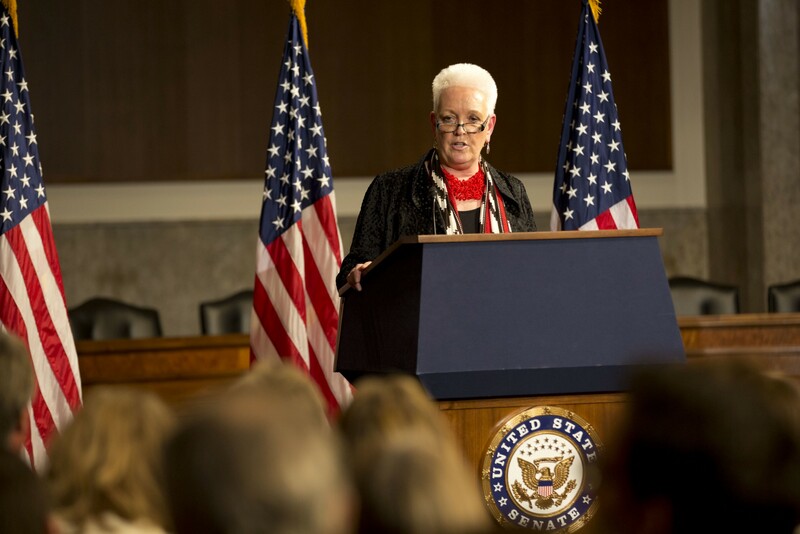 In her first major policy speech, Administrator Smith discusses her vision for USAID, the efforts of the Agency in the world’s trouble spots, and the future of U.S. leadership in international development. I, too, want to thank AEI and Brookings for hosting us here today. I want to thank George and Dany specifically, and I’d also like to welcome members of the diplomatic corps and our representatives from embassies. I told you this at the State Department just last month: We really value your partnership. I want to thank Senator Perdue and Senator Shaheen. I am truly honored by your words but also by your partnership, which I think sends the important signal to all of us about what we can do. I also see in this room a lot of faces who’ve worked for USAID for many, many years. Many legends, many people who built the foundation of the Agency I’m proud to serve today. I just want to say “thank you” to you, and I hope I can live up to your hard work and everything you’ve done. I think the senators here today represent something that is critical to our success, and that’s the incredible bipartisan — in fact, I think it’s almost nonpartisan — support that development now enjoys. I’ve had a lot of meetings with members of Congress since I was nominated, and I will tell you, in no single meeting did I need to make the case that development was important or that USAID is important. That’s a big change, and that’s a big deal. And turns out, with bipartisanship in the mix, we can get a lot done. I remember when I first started in this administration, and there on day one were PEPFAR, the Millennium Challenge Corporation and the President’s Malaria Initiative, all good ideas realized by President Bush. It never crossed President Obama’s mind to do anything but build on the progress that PEPFAR, MCC and PMI had achieved. And today, PEPFAR is supporting life-saving treatment for 9.5 million people, and has provided 68 million people with testing and counseling. An AIDS-free generation is a real possibility for the first time. And that’s because a Republican president had the vision and courage to invest billions to fight HIV/AIDS, and a Democratic president was smart enough to scale success when he saw it. That’s because two parties and two branches united around the simple idea that the United States could — and should — be the country to lead the fight against an epidemic threatening every country on earth. Next year, a new administration will pick up and run with the PEPFAR ball, and future leaders will keep going until we live in an AIDS-free world. And that’s the way it should be. And PEPFAR is just one of many great examples. The senator mentioned Power Africa. Last week, I was able to co-host a reception to celebrate the Electrify Africa Act, which was passed by Congress and signed into law by the president last month. There, senators and representatives from both parties and members of President Obama’s administration were united in a simple message: We can change people’s lives when we work together. 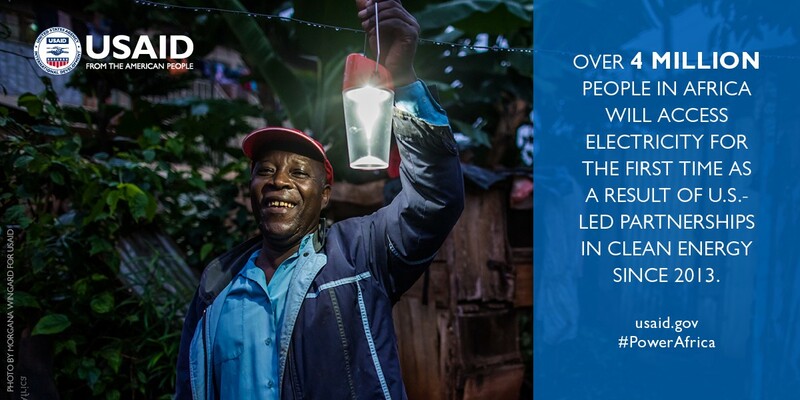 Because of their efforts — and the efforts of partners from African governments, NGOs and the private sector — the work of Power Africa can continue from administration to administration until the lights are on at every home, business and school in sub-Saharan Africa. As the senators suggested, that’s the way Washington should work. We have the opportunity now to go for a triple (that’s a big thing for me, I’m not good with sports metaphors) with the Global Food Security Act. If passed, when passed, the Act will solidify the incredible progress made by Feed the Future and position the U.S. for continued leadership in the global fight to end hunger and malnutrition. And it will mean that we and our partners can build on the hard-won development gains, ranging from a 33 percent drop in child stunting in Ghana to a poverty reduction of 16 percent in targeted areas of Bangladesh. So the fact is that when we work together, we’re a powerful force for change. That’s why I’m very glad to have all of you by my side as we work to lock in what we’ve accomplished and to meet the challenges that are ahead of us. And I am enormously proud to lead USAID, and very confident about what we can achieve together. So let me thank you again for all of you being here. 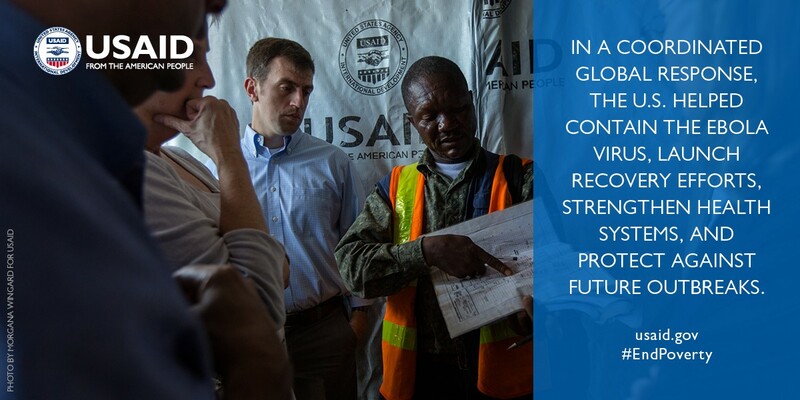 Now USAID, as it should be, is an ever-evolving institution. I think for too long it’s been viewed as the U.S. Agency for Foreign Assistance. 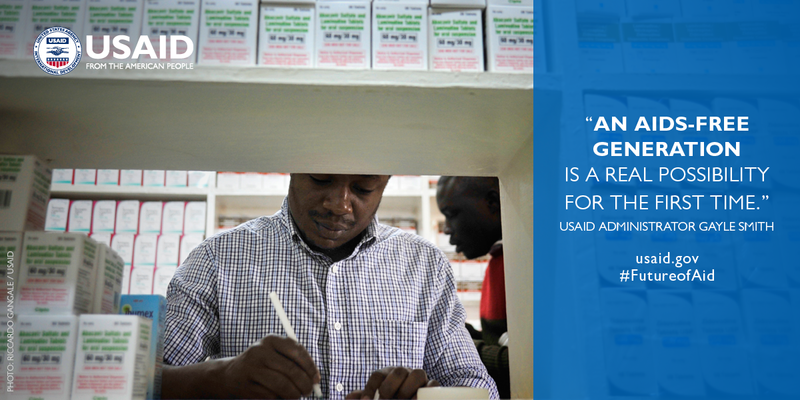 USAID has long since abandoned the notion that the solution to development is assistance alone. Trust me, assistance is important — I am cramming for my first ever budget hearings and I will make a very strong case — but we’ve also learned that how many dollars we spend is neither the exclusive measure of our commitment nor the means by which we measure success. Part of that is because we’ve adjusted to a new landscape. 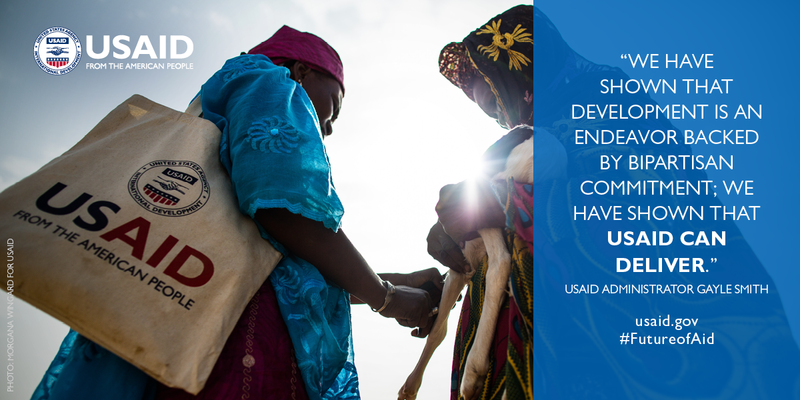 When USAID was founded more than 50 years ago, donor governments were responsible for nearly three quarters of all finance flowing to the developing world. Now we account for less than 10 percent. So USAID is acting on the fact that it takes multiple streams of capital to finance and sustain development, and that we can make much more of our assistance dollars, as the senator has said. We’re making smarter investments with our assistance; leveraging private capital to scale our impact; and supporting governments, small businesses and entrepreneurs to mobilize domestic resources. And the results are nothing to scoff at — thank you, Senator, for your comments. USAID and the other agencies driving Power Africa have mobilized $43 billion, the bulk of which is private capital. In Latin America, we’ve leveraged five dollars for every one dollar invested. We’ve helped entrepreneurs in Asia secure financing for clean energy projects, and partnered with major corporations like Coca-Cola to improve access to safe drinking water and distribute critical medical supplies. Our challenges going forward, I think, are scale and sustainability. We need to help economies become less dependent on aid by driving steady flows of domestic and private capital. And we need to craft what I would call “systemic” public-private partnerships that achieve impact across supply chains, delivering results for development and changing business models for the better. The USAID that I lead is also acting on the fact that development is not just an aspiration, but it’s also a discipline. I’m very proud to see that since adopting a new evaluation policy in 2011, USAID has averaged 200 external evaluations a year, and staff and partners are using these to adjust projects and inform future design. We’re doing more to measure impact, even in areas like democracy, rights and governance where impact is harder to measure than, for example, in maternal-child health. The Agency is now creating the feedback loop needed to ensure that what we learn is built into everything we do. Our challenge going forward is to institutionalize this practice, including by strengthening our Bureau for Policy, Planning and Learning, to ensure that we can drive with evidence, make mid-course corrections, scale what works and, importantly, be fully transparent and accountable. USAID is also acting on the fact that local ownership matters. 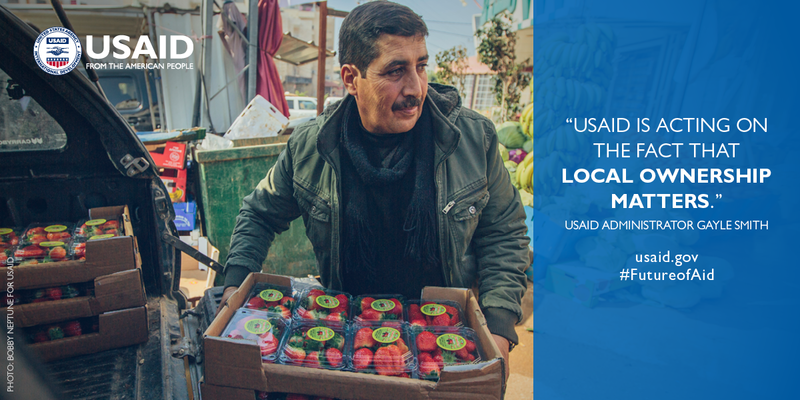 Since 2010, USAID has doubled the percentage of our funding obligated through local governments, civil society partners and local businesses. 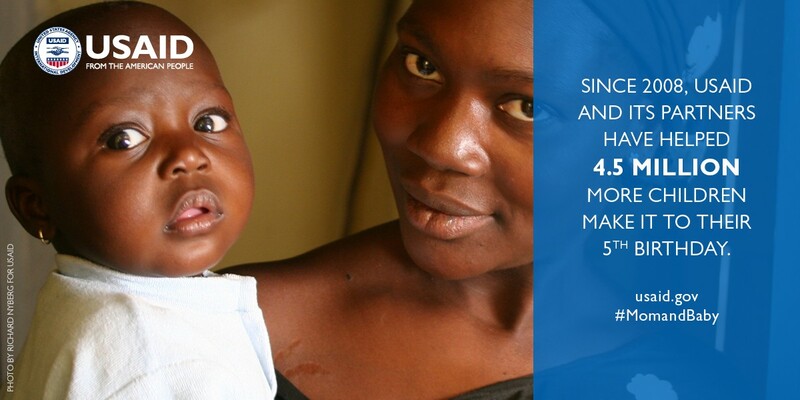 Our gains in ending preventable child and maternal deaths, improving reading skills, and building stronger democratic institutions have derived in no small part from the leadership of communities and countries. 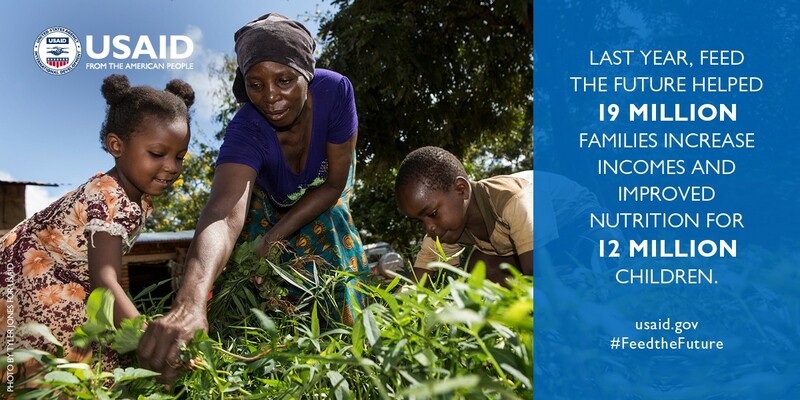 The success of Feed the Future has much to do with the fact that African leaders acted on their own to call for an increase in spending on agriculture and that every country should have its own food security plan. USAID is acting on the fact that we can achieve more when we join forces with others, including many of you in this room. That’s why we partner across the U.S government with agencies from the Department of Agriculture to the Overseas Private Investment Corporation to NASA. That’s why we’ve revitalized relationships with great institutions of higher learning, here in the U.S. and abroad. We’ve strengthened relationships with communities of faith, and engagement with the private sector is now fully embedded in the way we do business. Our challenge going forward is to marshal these partnerships not just for good but also for the scale needed to keep pace with demand. We’re acting on the fact that development solutions are manifold. I think many of you know that for decades this field has been characterized by the flavor of the month phenomenon — and depending on who you ask, and I’ve been at this for a long time, so I’ve been through all of these — the one really critical key to development has at different times been rural agriculture, good governance, infrastructure, human capital, the enabling environment, democratic systems, gender equity or innovation. The fact of the matter is that development requires all of these and more. So our challenge is not only to integrate these but we also have the opportunity to integrate our newest force multiplier, the Global Development Lab, so that it can spur and integrate innovation across and beyond the Agency. Finally, and this is a new and I think extraordinarily positive development, USAID is acting on the fact that our role as a development agency is also to bring analysis, solutions and expertise to the mix when it comes to seizing the opportunities and tackling the challenges that confront our government every day and in every corner of the world. That means using our early warning systems to enable the U.S. to respond early to crises, sharing our analyses of state fragility and long experience with transitions to help shape effective policies, and garnering decades of experience in individual countries to help inform our next steps. 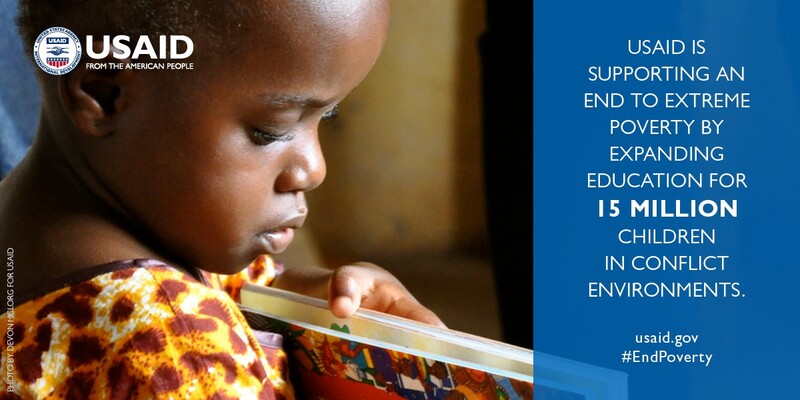 Our challenge now is to build the systems to ensure USAID’s extraordinary foundation of knowledge is brought to the policy table with rigor and with regularity. Even as I work with the men and women of USAID, and I want to say it’s an absolute privilege to do so, I’ve also got an eye to the challenges we face as a broader community. I’ve been in this field for over 35 years now, which means that Senator Perdue actually can’t be my father because he’s really not that old, but I honestly can’t remember a moment as pivotal as the one that we face now. The number of children who die from preventable deaths has been cut in half since 1990. Every continent has seen substantial gains, with individual incomes growing by more than a third in every region of the developing world. And it’s also a moment of global consensus. In the last 12 months, the world has agreed to the new Sustainable Development Goals; a policy framework for financing development with assistance, private capital and domestic resources; and a plan to curb climate change. But flowing against all of this positive momentum are what President Obama has called the “dangerous currents [that] risk pulling us back into a darker, more disordered world.” You can see these currents at work around the world. In the volatility of world commodity prices and shifts that knock economies off balance and plunge families back into poverty. In the sharp-edged conflicts that tear regions apart and are spawning record waves of refugees and displacement. In the willful abuse of human rights, denial of humanitarian access, and closing of space for civil society. In the rise and expansion of predatory terrorist networks across vast regions. In the ravages of the weather or the tiny mosquito bite that becomes a global health emergency almost overnight. That’s what we’re up against. As a global community, we have to answer volatility with stability, injustice with rights, despair with opportunity and conflict with peace. Even with all the gains we’ve seen, that’s no easy task. And when you step back to see the full picture, it’s almost as if the good and the bad, the signs of progress and the dangerous trends, are in a dead heat, with one balanced against the other. 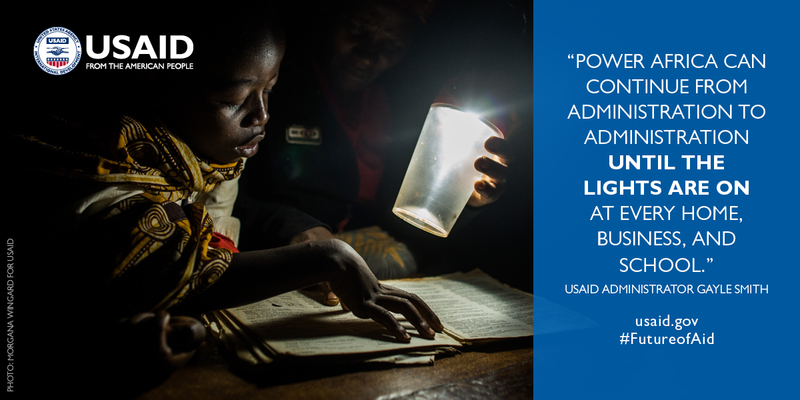 The steps we’re taking at USAID are helping our nation live up to the president’s pledge. And going forward, as the latest National Security Strategy affirms, the United States will continue to lead with all the instruments of American power: defense, diplomacy and development. But even with a commitment to strong U.S. leadership, there are some challenges we can’t tackle alone. To conquer the dangerous currents, there are questions we have to answer with one voice, the global community committing together to a better world. And I’d like to pose three. The first is: Whether we respond to the urgency of now, are we bold enough to invest now to manage a future of rapid and often tumultuous change? This is a time when the humanitarian need across the globe is as great as I can remember. And every time a disaster hits, the world is there to respond — with food, with medicine, even with the tools to rebuild. We’re good at it, and nobody is better at it than the United States. 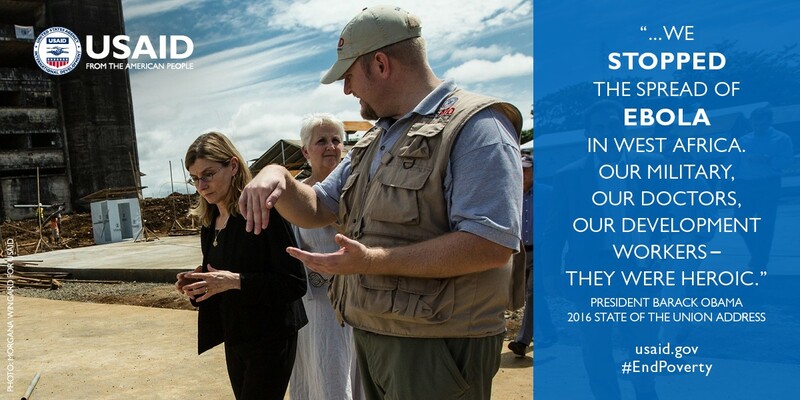 But over the last seven years, USAID has deployed 23 disaster assistance response, or DART, teams and responded to an average of 60 emergencies per year. 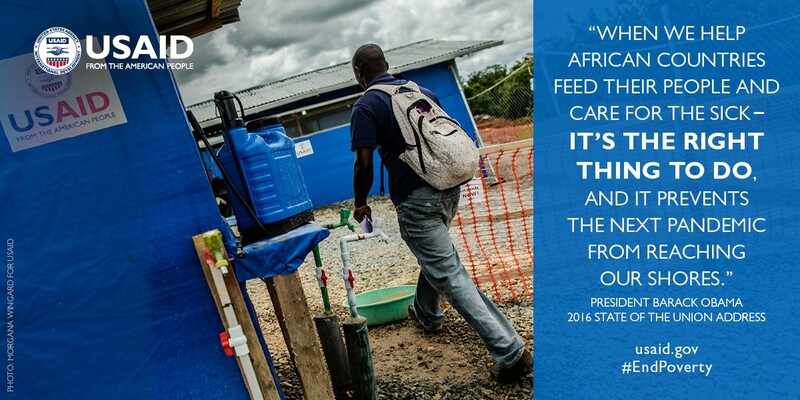 No matter the crisis — Syria or the Sahel, earthquakes or Ebola — USAID is there to save lives and meet people’s needs on the ground. But many of these crises are chronic, complex and severe. They require more time, more money and more people to respond. 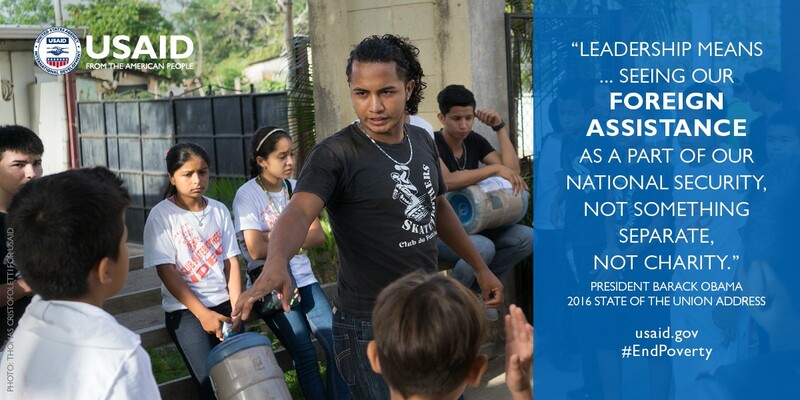 This year’s El Niño, for example, is unfolding on a global scale and threatening the livelihoods of people from Latin America to Africa. And in too many cases, like in South Sudan, governments make an effective response even harder because those charged to lead have turned their backs on the people who need them most. We are today feeding more than 1 million people in South Sudan each month and responding to El Niño on four continents, just as we will continue to respond wherever there is need. The American people expect it, and respond themselves with generosity. But even as we respond, we need to make sure that the urgent does not crowd out the important. We need to make long-term, steady investments to prevent the crises that shatter the lives of millions and cost the taxpayers billions. 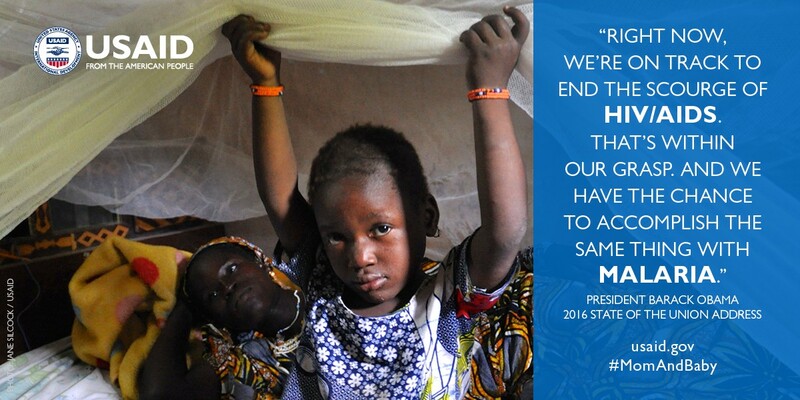 Investing now means staying the course for years to come on the Global Health Security Agenda — thankfully propelled in this initial phase by Congressional approval of our emergency Ebola request last year — so that every country in the world has the capacity to prevent, detect and respond to diseases like MERS, Ebola and now Zika. It means scaling dramatically some of the most effective but perhaps least visible work USAID is doing to foster resilience — or the capacity of people, communities and countries to withstand external shocks. It means building the institutions needed to sustain democracy and governance by taking a page from what the world has done to strengthen global public health, and marshaling the resources and political buy-in that can generate scale, build the body of evidence, and model success. We must also maintain a steady drumbeat to uphold the basic norms without which we cannot succeed — against the corruption that undermines progress and saps citizens’ faith in their governments; for the rights of all citizens and civil society; and for the obligations of governments to prevent discrimination — against women, against people of faith, against minorities, against the LGBT community, and against the disabled or any other person. The second question we have to answer is whether we have the strategic patience to support the transitions before us until they succeed? USAID and our partners work in some of the toughest environments you can imagine, as do many of you. Brand new countries working to build institutions of governance from nothing. Countries reeling from decades of civil war. Countries consumed by insecurity and instability. Our men and women risk everything — sometimes paying the ultimate sacrifice — as they and our partners strive to plant the seeds of dignity and opportunity. That would be incredibly difficult under any circumstance. But try it with limited funding, too few donors, security constraints and ever-growing expectations, and most people would simply give up. But our people don’t, and we owe them our thanks and a commitment to pursue change that lasts at least as long as these transitions take. Progress cannot be measured in four- or eight-year increments. That’s not how development works. It’s not how transitions work, either. The World Bank found in a recent study that even the fastest transformers took 20 years to achieve functioning government systems, and another seven to bring corruption under control. And these are countries with a solid head start — they began with conditions that helped expedite the process, like a history of working government or a relatively literate populace. Given all of the enormous difficulties, there are some who would say the hard work isn’t worth it. But tell that to President Santos of Colombia, which 15 years ago was on the brink of being declared a failed state. But today, he says the Colombian people “see the future with hope.” And that’s because Colombia, with our robust and steady support, did the hard work to tackle the structural conditions allowing drug cartels to run rampant, climb out of a recession, and to end a decades-long war. We were with them every step of the way. And we’ll be with them when the next phase of the transition can begin. Because we know that sustained effort pays off. Ask the Kosovar woman who worked as a USAID Foreign Service National for more than 15 years, serving her country and ours by helping Kosovo write a constitution and build institutions where there were none less than a decade ago. Today, she sits as a judge on her country’s highest constitutional court. Now consider what it will take, when the time comes, in Syria. Change takes time and hard work. It also takes strategic patience and managing expectations, of administrations, of the Congress and of the media. But it’s worth it — and if we know anything, it’s that the costs of impatience are far too great. The last question I think we all have to answer is this: Are we willing to adapt our systems and our institutions to the world we face? If there’s one thing we know we need, it’s agility. Even as we persist through long transitions and pursue a patient path to lasting progress, we must move swiftly to seize opportunities when they arise, whether to support elections in Sri Lanka and Burma or to set up non-formal education centers for Nigerian families displaced by Boko Haram. That means we need to adapt our systems and institutions for a rapidly changing world. This year, we have at least two opportunities to do just that. 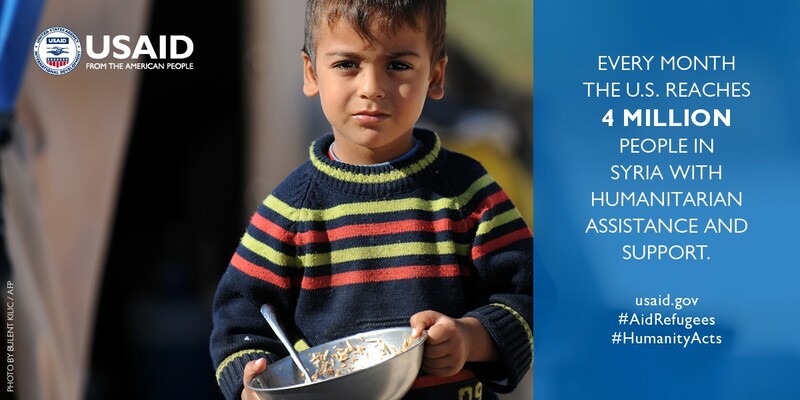 First, in May, the United States will participate in the World Humanitarian Summit in Istanbul. 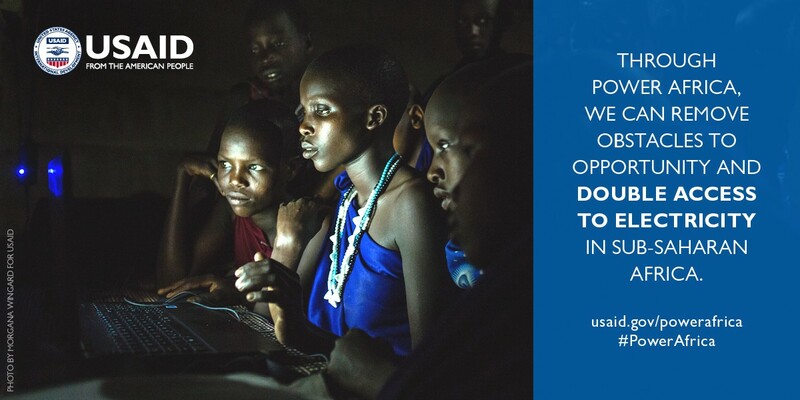 As we work together to meet the needs of millions, we also have the opportunity to strike a new grand bargain that leverages more efficient donor action to spur parallel changes in UN agencies so that collectively we are more strategic, more effective, more efficient, and more nimble. We will also have the opportunity and the obligation to grapple head on with the sharp decline in adherence to basic humanitarian doctrine, and the fact that the greatest impediment to reaching people in need in chronic conflicts today is the willful denial of humanitarian access by all parties. Second, in September, President Obama will host a summit on refugees on the margins of the UN General Assembly. There’s no question that the global refugee crisis is putting our systems and host countries to the test. It is also putting people to the test. Most refugees face futures without education, or jobs, or the hope of normalcy — often for a generation. Unfortunately, the debate the global refugee crisis has sparked has been more about rhetoric, some of it hateful, than about solutions. The president’s summit provides an opportunity to change that by challenging the world to commit to solutions — to sustained humanitarian funding, to resettlement and other legal channels, and to enabling refugees to secure the protection, education and livelihoods they need for their families. Finally, let me come back to USAID. 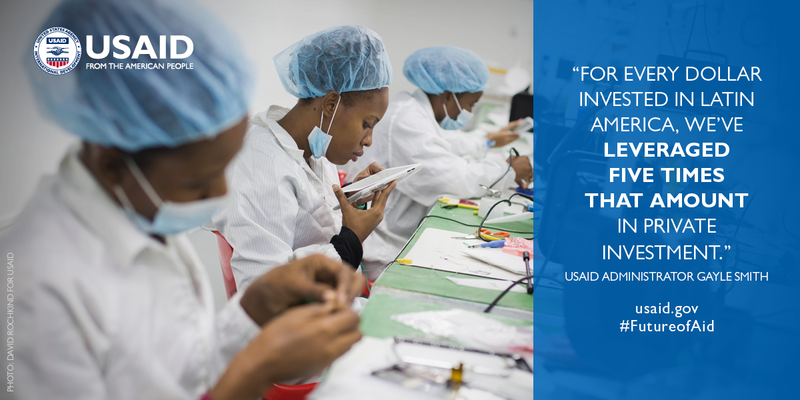 I am proud of where the Agency is today, and I know that what the United States needs, regardless of administration or party, is an effective, agile, and impactful USAID, one that’s ready to handle whatever the future brings. So I end where I began and leave you with the hope — perhaps more easily offered by an administrator near the beginning but also the end of her term — that we can strike our own grand bargain. We have shown that development is an endeavor backed by bipartisan commitment; we have shown that USAID can deliver. I have told members of Congress with whom I have met that I will be transparent and accountable — a pledge made easier by the hard work and rigor that the men and women of USAID bring to work every day. I have also said that I will not be shy about coming to Congress to ask for what we need. Last month, I met with the former USAID administrators, who span four administrations and both political parties, and each of whom maintains the same fierce love for and commitment to the Agency they held while in office. I’m looking at one of them as I say I know they would agree when I say that all of us — across party lines and from one administration to the next — must pledge to keep building a stronger USAID, one that delivers accountability and impact and earns flexibility in exchange. An Agency with the agility and support it needs. The Agency we need and the world deserves. If we meet these three challenges, if we make the choice to invest in the future and not just the right now, we can usher in a new era of progress. If we persist through the inevitable setbacks and shocks of a country’s transformation, in years to come we will have capable and responsible partners. If we come together as a global community to say we can do this better and do it, we’ll have systems worthy of our complex and changing world. The men and women of USAID, with whom I’m proud to serve, are ready to lead. And we need all of you by our side. Thank you very much.